What you can expect from a showroom? A lot of products like door fittings, furniture fittings, window fittings, security fittings, house numbers, letter boxes, coat hooks… At our showroom, you can experience which door handle fits your hand best and how things roll with a sliding door system. 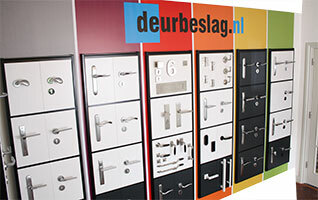 You find our showroom in Garderen, the Netherlands. A little out of your league? Please place an order in our online shop and use our spacious return policy of 100 days! Don’t let your coffee get cold! 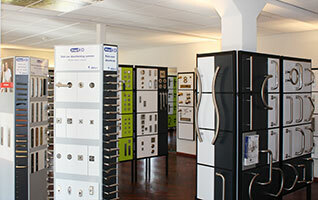 Are you interested in visiting our Showroom in Garderen? Give yourself all the time you need for good advice and experience our door fittings yourself. During opening times you’re always welcome at our property (even without letting us know in advance), but making an appointment can be easier for both you and us. This way, you’re sure that we have all the time for you and there’s a hot cup of coffee waiting for you. Fill in the reservation form and we love to meet you on the agreed day and time! 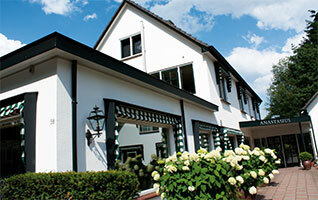 You’ll find our showroom on the Speulderweg 38-40 in Garderen (The Netherlands). Do you want to contact us before your visit to our company or do you have extra questions? Let us know! At our contact page you find all the possible ways to get in touch. We love to hear from you!